Months of speculation and rumors around a small Microsoft(s msft) Surface Mini tablet could culminate in a product soon. While the physical evidence may be flimsy, a manufacturer is taking pre-orders for a case to fit a small Surface tablet, which Microsoft hasn’t announced. Sources tell Microsoft watcher Mary Jo Foley, however, that the Surface Mini tablet is “waiting in the wings for an announcement” so perhaps the case is an early leak after all. I think the chances of a Microsoft Surface Mini launch are high but I’m not sold on the need for it. At least not yet, based on the whispers of what the device might actually be. Foley’s sources suggest the Surface Mini will be around seven to eight inches in size and powered by an ARM(s armh) processor, just like the original Surface and Surface 2 products. That would make the device fan-less and likely give it good battery performance; say 8 to 10 hours, if not better. 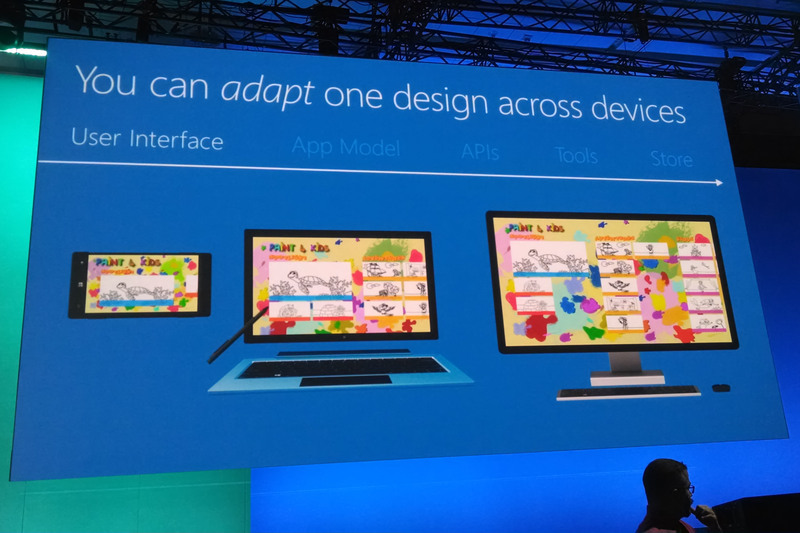 It will likely come with a digital stylus for on-screen note taking and other pen-based activities. Sounds good so far, right? There’s a problem though: There are already a number of solid Windows slates available in that size that can run for 8 or more hours on a change. Some even have a digital pen. And here’s the kicker: These current models all run Windows 8.1 not Windows RT, which is still a bit hobbled in terms of its app ecosystem and lack of legacy Windows app support. These slates also start at reasonable prices: You can nab a Dell Venue Pro 8 for $249, for example and get Microsoft Office Home & Student 2013 software included. Similar offers and devices are available from Lenovo, Toshiba, Asus and others. I made a similar argument against the original Surface tablets last year, noting that the Intel-powered(s intc) Windows 8 slates offered more functionality, better app support and similar battery life for comparable prices. 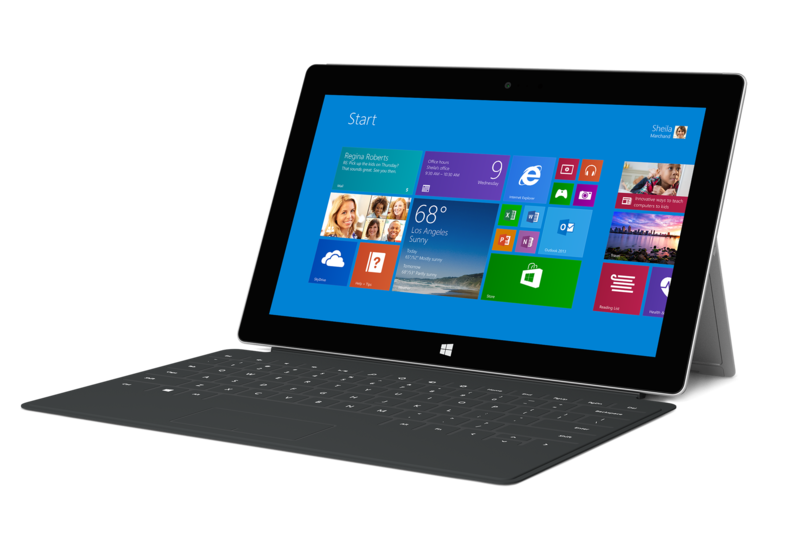 Microsoft may need to price a Surface Mini at $200 to $249 or less to generate interest against the incumbent products. There is one difference in the market now, however, which is why I noted above that I’m not sold on a Surface Mini yet: Universal Windows Apps can help bridge the app gap here. This strategy, announced last month by Microsoft, makes it easy for developers to create one Windows app that can — with relatively minimal effort — run on Windows Phone, Windows RT and the Windows 8 platforms. That will certainly help the current Microsoft Surface product and any new Surface Mini, should the company offer it. But uptake time from developers is a factor: Why try to sell yet another Surface product if developers aren’t making their apps compatible? Then i called Microsoft to get help with the issue and was told for $250 dollars they could fix the problem on a @ day old laptop thats a bunch of BS if you ask me i think Microsoft is doing this just to pull more money from peoples pockets. As if the $400 dollar damned computer was not enough the tech kinda laughed at me and my age as if that was the problem which really pissed me off. I do not think Microsoft is worth a damn and then i seen just today that they are going to not send out security for the 8 or 8.1 system program just like they did windows XP thats a bunch of BS to. Did you really expect to get a decent laptop at $400.00? What are you talking about? You had an issue with a laptop you bought and you called Microsoft and not the manufacturer? What was your problem and what did they say they would do to fix it that would cost 250 bucks? The current OS of Windows is Windows 8. We are on Windows 8.1 and every PC with Windows 8 can upgrade for free with ease and the same with the 8.1 update 1. Windows 8 is planned to update and add new features at least yearly to rapidly evolve to what customers want and need. Huge security updates are also going into these updates and they build off of eachother so you need to stay current. No, you update to 8.1 for free, that is support… Then 8.1 can get any updates that are available… That is what support is. Anyone saying that Windows 8 or 8.1 no longer receive support are morons who don’t understand what support even is. Screw Microsoft I just bought a new laptop with Microsoft windows 8.1 two days ago and i have had it with this POS JUNK from Microsoft. No way the Surface Mini will be an RT device. I refuse to believe that Microsoft would be that stupid. If they make an 8 inch Surface Mini with a digitizer, 1080 screen, with the latest intell processor while keeping the build quality of the Surface Pro I will buy one. It would be nice if they could make these tablets with the ability to be used as a second screen or just hook up as a drawing device to another PC. More than likely as Foley mentioned, this tablet with will be sold around the availability of Office Touch. If they are going to push the productivity front and use the equivalent of a Wacom stylus, I’ll be sold. 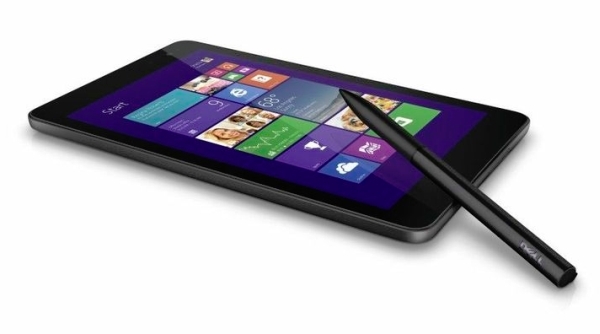 I currently have the Dell Venue 8 and I’m very disappointed with the pen input. My intent was to finally get rid of paper and have all notes taken digitally. Hopefully the surface mini can accomplish this. I don’t think there is single tablet on the market right now that truly is useful for collecting data from lectures or in a meeting. I certainly see many iPads in meeting but not a single one being used for note taking or even recording minutes. A combination of One Note, a decent stylus, and good quality hardware will come in very handy. A mini touch keyboard would be awesome but I don’t expect to see one. Perhaps, but the bigger point I was trying to make is that they’re selling far better than the ARM-based Windows RT tablets. The new 8 inch tablets aren’t doing bad, sales are constantly going up. Sure it doesn’t look like it is going to hit Android or iOS numbers anytime soon but that is not the point. More companies are starting to develop their own 8 inch Windows tablets to compete and Lenovo just released their second updated model of their 8 inch tablet. You’re forgetting the other 600lb gorilla in the room Kevin – accessories. Look at what Microsoft has for the Surface Pro 2. Now compare those to the lack of accessories you find for these “other” Windows tablets. If Microsoft made just the Touch Cover Keyboard for this Surface mini, I would be sold. You are assuming every company works the same Apple. The Keyboard on the Surface was a huge selling point since it was convenient and functional. More PC users need or want a keyboard than iPad users. You confuse “digital pen” with Wacom stylus. The two are not the same. And almost none of them compete toe to toe with the iPad mini with Retina Display in either build quality or feature set. You either have a cheap tablet with a low-res screen (Dell Venue Pro, Lenovo Miix 2, Toshiba Encore, ASUS VivoTab 8) or the one with a “good” screen lacks full stylus support (ThinkPad Tablet 8). One also hopes that Microsoft uses the same VaporMg aluminum exterior on current Surface products for a Surface Mini. Define “feature set”. Not sure what is wrong with the build quality of the 8 inch Windows tablets. I still do not get why everyone is quick to vaguely bring up build quality when comparing to Apple. If it doesn’t have a unibody aluminum case it is crap because the iPad is built that way. it is not only about specs and apps. there’s also the build quality. other PC makers make rather poor devices (venue 8 pro pen problems, wifi card crash, plastic screen lift, etc…). the surface is the only PC that has an Apple-like quality. it feels good to use, and for many consumers, that can sway a purchase decision. I completely agree with you on build quality, hardware support and such. That doesn’t seem to be swaying too many to Microsoft’s computers just yet though.